Forget the Greece that’s all about the sea, sun and ancient sites. Blessed with a rich diversity of landscapes, the country is also home to many forests and woodland areas that are often overlooked by tourists. Here are some of the most unique and enchanting forests you can find in Greece. Spreading over 33,000 square meters on Mount Foloi, Foloi Forest is one of Europe’s oldest self-planted beech and oak forests. Mythology has it is that it was the populated by Centaurs and fairies, and is named after the Centaur’s king, Folos, or Pholus, who hosted Hercules when he was searching for the Erymanthian boar. Traversed by the Erymanthos and Ladon Rivers, the forest is perfect for quiet and invigorating walks. Located in Evros, near the Turkish border, the Dadia Forest Reserve (also known as the Dadia-Lefkimi-Soufli Forest National Park) is located by the Evros Mountains. It’s a splendid green area loved by wildlife admirers. The reserve has an information center, accessed from the small village of Likofi, where visitors can find information on the wildlife of the reserve, including several species of birds of prey, as well as accommodation. The center includes a restaurant and a café, but make sure to book in advance during busy periods, especially when birds are migrating. There are more lodging options in the nearby village of Dadia, on the easternmost route of migratory birds. Evia is known for being a forest-covered paradise with a plethora of scenic trails, picturesque mountain villages and stunning beaches. 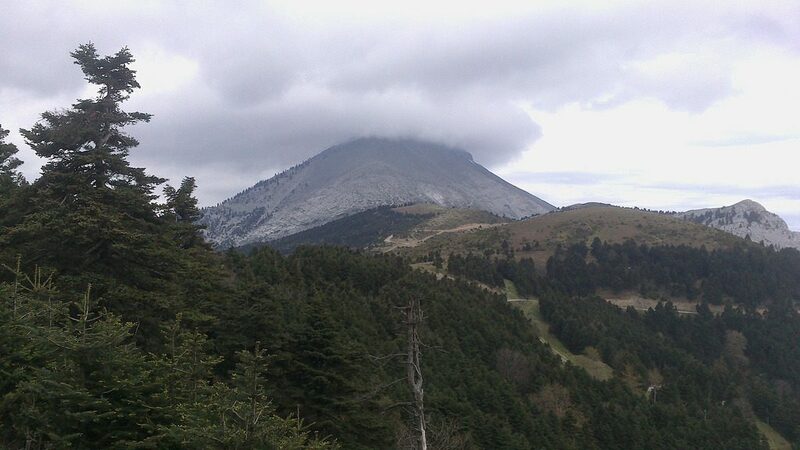 Steni Forest covers Mount Dirfys. The forest is home to fir and chestnut trees, as well as springs. Steni Forest is known to be home to a wide variety of endemic flora species. The well-marked network of trails allows for many hikes, while a stop at the forest refuge offers visitors astonishing views over North Evian Gulf, the Sea and even the island of Skyros to the west. Skiathos, the westernmost island of the Sporades cluster, is home to a scenic piece of nature. The Koukounaries Wetland, located 10 kilometers from Skiathos town, is part of the Natura 2000 network, and includes a forest and lagoon. The coastal forest is located between the sea and the wetland, and bordered to the north by lake Strofilia, which stretches over 950 hectares. An important layover for migratory birds due to its complex natural environment, the lake is a natural habitat for herons, cormorants, flamingos and wild geese. You may also be lucky enough to spot a few water turtles. The lake, connected to the sea via a natural channel, has a varying degree of salinity depending on the sea input and precipitations, which makes it a very interesting area. Whether you wish to enjoy some quiet time in nature after a day at the beach or simply want to explore the area, young and old are sure to have a good time in one of the many beautiful areas of the island. Not all forests are created equal. 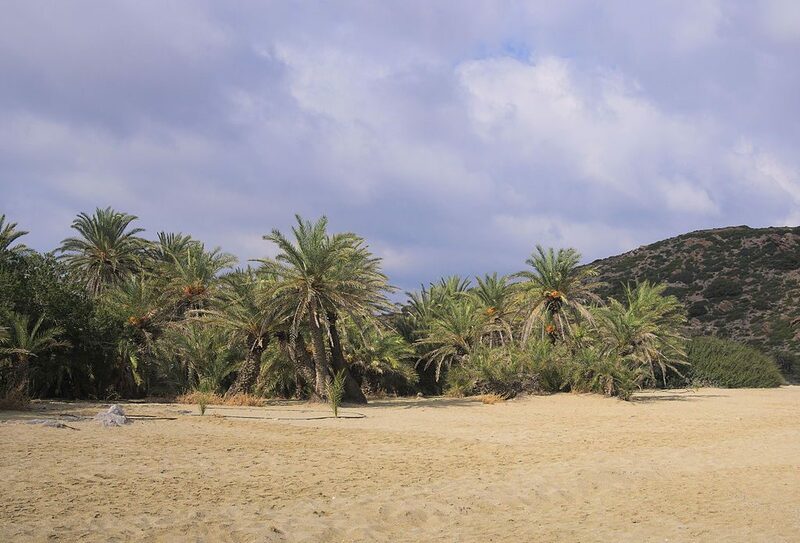 An excellent example of this is the palm forest of Vai, in eastern Crete. Covering an area of approximately 19 hectares, this exotic forest is the largest of its kind in Europe. While the origin of the palm trees is still unclear, it is truly a unique site to discover. Lying next to a sandy beach, the forest has been designated an “Aesthetic Forest” and is a migratory point for many bird species on their way to Africa. 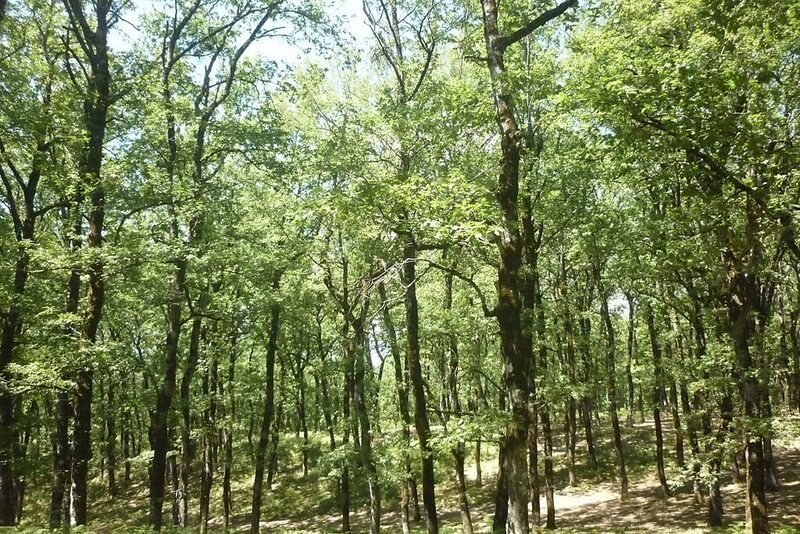 Located near the small town of Almyros (or Almiros) near Volos, the Kouri Forest is an oak forest lying at about 75 meters altitude and covering 108 hectares. Covered with footpaths, the forest is divided into two sections, one with a church, a kiosk and sport facilities, and the other with three artificial lakes and a network of trails. A small track train tours the lakes and allows visitors to catch a glimpse of the wild animals roaming freely, including deer, ducks and swans, as the forest is another important area for migratory birds. The forest includes a folklore museum accessible to the public and a small tourist center. In the summer, Los Almiros Music Festival, attracting thousands of people to the forest, has helped the rediscovery of this region. Νear the Greek-Bulgarian border, on the southern slopes of Mount Chaidou, is the Drimos Forest, also known as Chaidou. It is known for its immense centennial beech trees that are over 30 meters high. The forest is a protected area where bears, deer and wolves live. Crossed with streams and small rivers where fishing aficionados can catch some trout, this an earthly paradise where anyone can pause and reconnect with nature. Picnic on the bare meadows or hike the mountain — whatever your tastes, you will be rewarded by pristine, lush vegetation, pure air and tranquility. 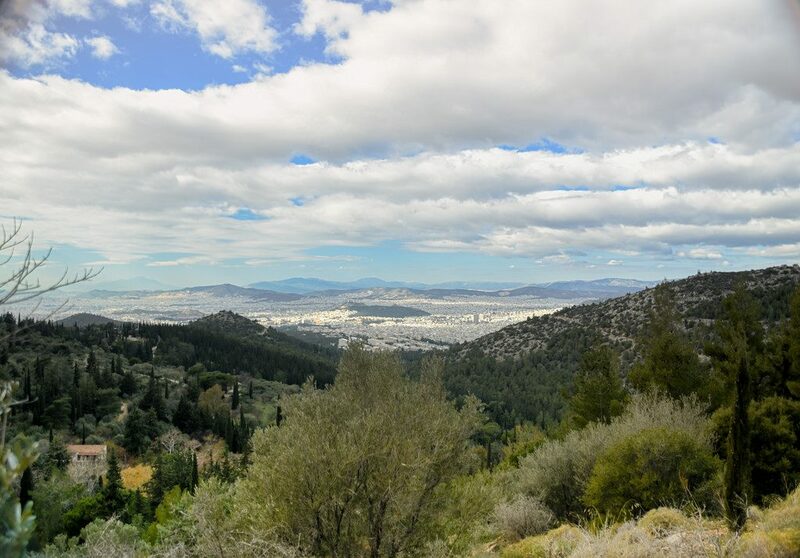 Athens has its green lung, located on Mount Ymittos (or Hymettus). Bordering the Kaisariani Monastery, the forest has been saved from deforestation and degradation thanks to the efforts of the Philodassiki Enosi Athinon. 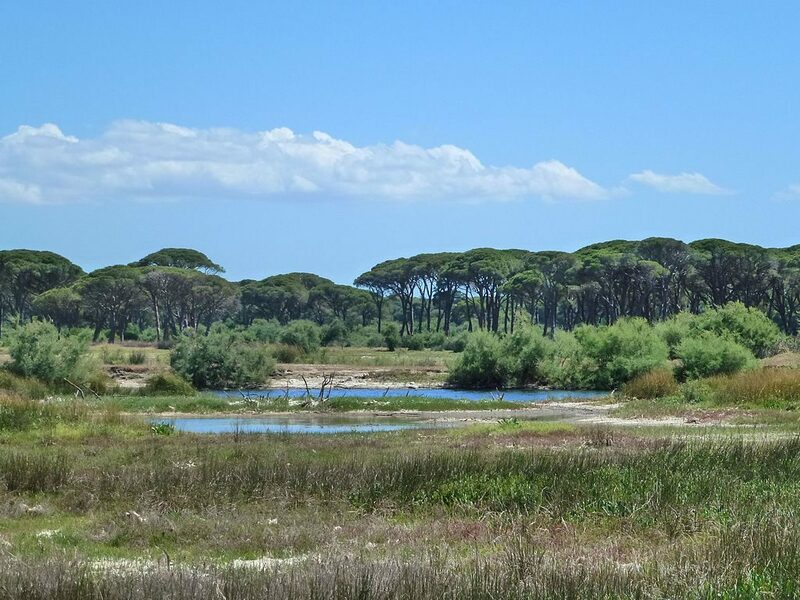 There you can spot cedars, cypresses, pine trees, sycamores and eucalyptus. You will also get a beautiful view of the city of Athens and the sea. The forest complex of Mount Ossa (or Kissavos) is located on the northeastern side of the mountain. Beginning at sea-level, it reaches the peak of Profitis Ilias at 1980 meters. The forest is predominantly known for the exploitation of chestnuts, cultivated more for their fruits than their wood. Other dominant species are beech and fir trees. Thanks to long-term management and protection efforts, the vast area is not threatened by fire or grazing, so boasts a rich landscape and geomorphology. Home to a rich variety of habitats, the complex teems with scenic flora and fauna. Another marvelous site to visit in Peloponnese is the Strofylia Forest. 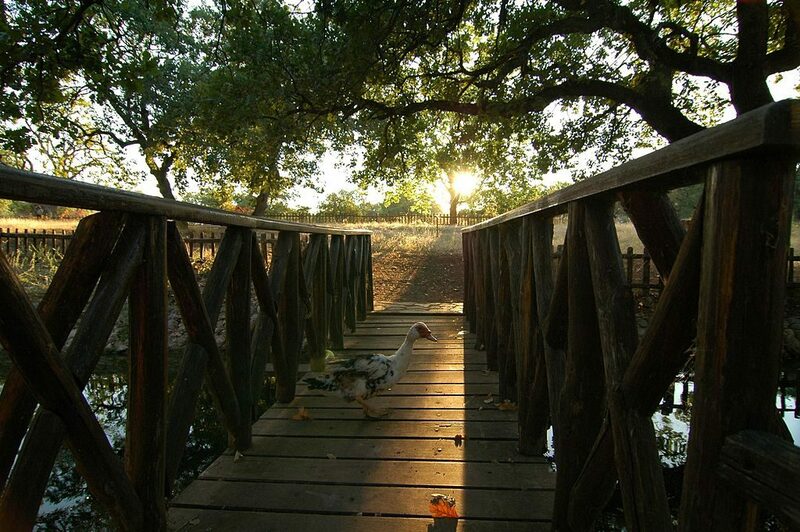 This natural reserve separates Lake Prokopos from the Ionian Sea by a strip of green. The whole complex includes the forest, the Kotichi Lagoon and Lake Prokopos, which all are part of the Natura 2000 network. The green of the pine forest contrasts with the deep blue of the sea and the golden sand. It’s home to a diverse range of flora and fauna, including foxes, turtles, jackals, hedgehogs, otters, owls and waterfowls. There are several paths you can follow, but if birdwatching is your thing, wander near the Kotichi Lagoon to spot hawks, turtle doves, herons and swallows, as the area is on the west migratory route.